Stoney River is an upscale steakhouse that offers hand-cut, USDA top choice steaks and gourmet entrees offered by professional servers in a sophisticated setting. Not into steaks. No worries. Stoney River also offers fresh seafood selections, signature salads, and house specialties. Below are the latest Stoney River menu prices. Bleu Cheese, Honey Mustard, Buttermilk Ranch, Thousand Island, Fresh Herb Vinaigrette and Honey Lime Vinaigrette, House, Caesar, Baby Kale or Wedge Salad to accompany your filet, prime rib or entree $6.50. We use only USDA Top Choice or higher aged beed for our steaks and prime rib. USDA Top Choice or higher aged Midwestern beef. Cut fresh daily and finished with Maitre d' butter. House, Caesar, Baby Kale or Wedge Salad to accompany your filet, prime rib or entree $6.50. It’s not always about calories either. Maybe you’re just in the mood for a crunchy tuna roll, or perhaps you’re craving for some juicy steak. Maybe you want to be relaxed and casual, or perhaps you want a place with a touch of sophistication. But you can just go to the Stoney River Steakhouse and Grill. The most notable feature of this restaurant is that, whatever your mood may be, your wishes can be accommodated by any Stoney River restaurant. The right wine will be brought out to complement your meal each time. It is part of the legendary experience they promise with each visit. Of course, it’s not legendary if the quality of the food doesn’t deliver, and here any expectations you may have will probably be matched (if not surpassed). It’s not a coincidence that so many patrons consider the Stoney River dining experience one of the best culinary adventures ever. 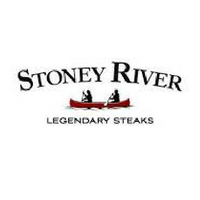 For more information about Stoney River Steakhouse & Grill, visit their official website.